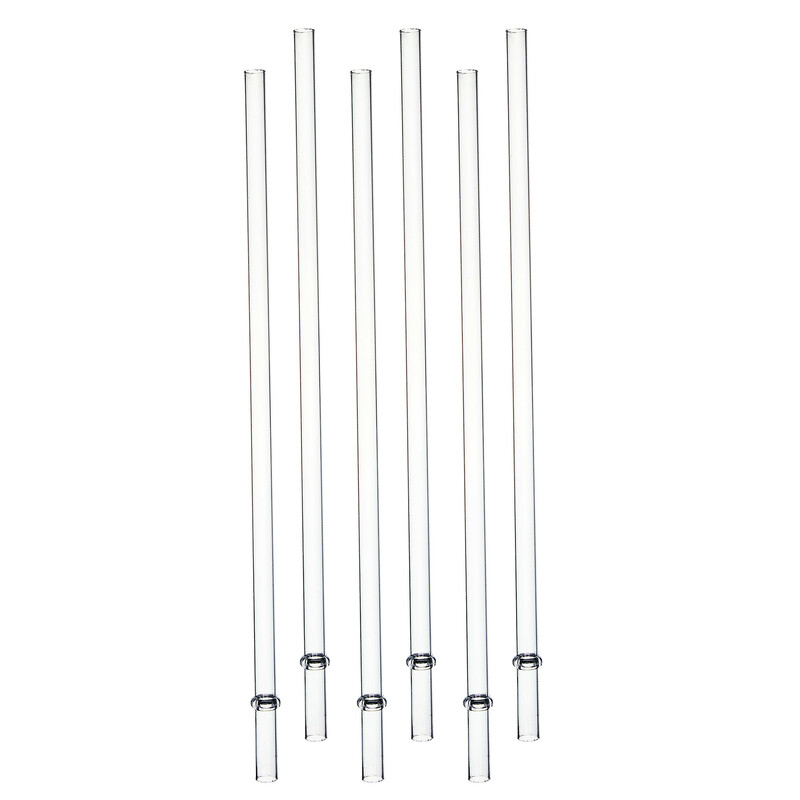 Southern Homewares clear acrylic straw six pack is the perfect addition to any kitchen. Do you have one of those fabulous acrylic tumblers but need a few extra straws? This pack is for you! Comes in a retail ready package which makes these perfect for gift giving. Southern Homewares clear acrylic straw six pack is the perfect addition to any kitchen. Do you have one of those fabulous acrylic tumblers but need a few extra straws? This pack is for you! Comes in a retail ready package which makes these perfect for gift giving. Use them for arts and crafts projects, as a replacement for disposable straws, or as they are designed, to work in your favorite tumbler! Straws have a hard plastic ring molded into the design to prevent coming completely out when used with a tumbler style lid. Each straw is 9.00" in length, has an inside diameter of 0.23", an outside diameter of 0.29", and the molded ring outside diameter of 0.39". Overall packaged dimensions are 2.74" x 0.38" x 11.63". Includes six straws.